I understand how poor-quality sleep can affect people’s everyday lives. It can affect everything from your energy levels to your will power. 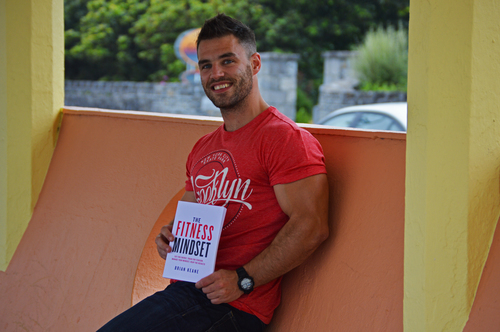 Galway-based health expert and fitness model Brian Keane has become an Amazon bestselling author following the release of his book, ‘The Fitness Mindset'. The book has held the number one spot in nutrition since its release. In his book, Brian Keane, originally from Maam Valley in Connemara, Ireland, reveals the top tips to help improve health in every aspect of life. He also explains how understanding your sleeping pattern can boost your energy, improve your will power and benefit your general health. An estimated one in three adults do not obtain the recommended hours of sleep. According to the NHS, not sleeping enough can lead to immune system problems, weight gain and mood disorders in extreme cases. REM is the dream state we enter whilst sleeping. This usually occurs 90 minutes after the onset of sleep or 30 minutes if someone is sleep deprived. Brian continues, “We’ve all been told, ‘you need to get at least eight hours of sleep every night,’ but why? This brings us back to REM sleep. We have about four or more REM periods per night and they go in 90 minute cycles. This is why if you sleep for seven and a half hours and wake up, you feel more refreshed as you have finished that ‘cycle’ and your body finds it easier to wake up. If you wake up after 10 hours, you’re mid-way through a cycle, which is why you feel tired and need a ‘kick’ just to get going the next morning. “Given that sleep is an essential way of resting, recharging, and nourishing both your body and mind, sustained, unbroken sleep and dreaming are part of our lifestyle that determine the quality of our health. There are two simple ways to improve your sleep and fall asleep properly. “The first is avoiding the ‘second wind’. There is a window from 10:45 PM to 11:00 PM when most people get naturally tired. This window differs a little based on each person or the current season, but it falls in line with the circadian cycle (the biological clock representing changes in our bodies). If you don’t go to sleep, you’ll get a cortisol (a steroid hormone) driven ‘second wind’ that can keep you awake until 2:00 AM or 3:00 AM. “If you can stick close to the circadian cycle and get to bed before 11:00 PM, you will wake up feeling more rested than if you get the same amount of sleep starting later. “The second tip is to switch off your brain. You may feel unable to switch off from feelings of stress, tension and anxiety. As a London primary school teacher, who was running a personal training business on the side, it did become stressful and if I didn’t get enough sleep I wouldn’t be preforming at my best. “One thing that supported me massively was writing down all of the following day’s tasks before I got into my night-time routine. This helped my brain unwind, safe in the knowledge I wouldn’t forget my most important tasks. I still use to this method today to ensure I get the best sleep possible. Brian Keane’s new book ‘The Fitness Mindset’, published be Rethink Press is available to order on Amazon at £11.99 and can be found here: http://amzn.to/2tiOdBc. The book reveals the best tips and strategies improve your health, lose weight and maintain the mindset to reach your body goals. In its first 24 hours of sale ‘The Fitness Mindset’ became an Amazon Best Seller. Brian Keane is available for interview. If you would like to speak to Brian please contact Adam Betteridge at Famous Publicity at adam@famouspublicity.com, Mary-Jane Rose at mary-jane@famouspublicity.com or Tina Fotherby at tina@famouspublicity.com or call the office on 0333 344 2341. Author of new book ‘The Fitness Mindset’, Brian Keane is a fitness trainer, former professional fitness model and the owner of Brian Keane Fitness. He has an impressive online following with over 61,000 Instagram followers, 64,000 Facebook fans and hosts one of the top fitness and nutrition podcasts on iTunes (http://apple.co/2tJc3Fp). This press release was distributed by ResponseSource Press Release Wire on behalf of Brian Keane Fitness in the following categories: Children & Teenagers, Men's Interest, Health, Leisure & Hobbies, Women's Interest & Beauty, Sport, Food & Drink, Business & Finance, Travel, Education & Human Resources, for more information visit https://pressreleasewire.responsesource.com/about.